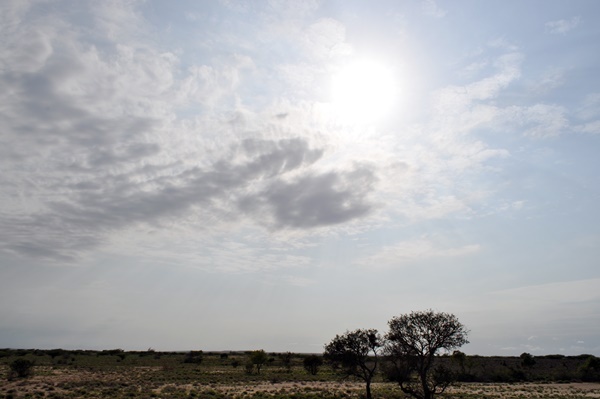 One of the great prospects that Kenya has is its abundance of open flat land and solar power. 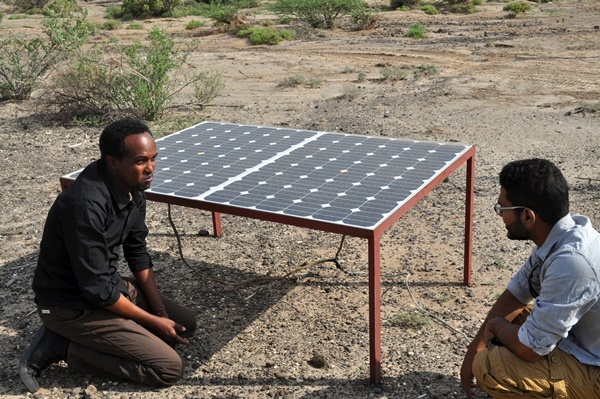 Because of this, photovoltaic, or solar panel systems are a very favorable form of obtaining energy for the communities that need it. 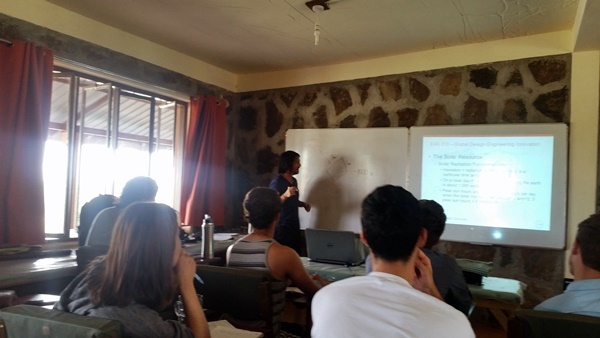 Professor Rodrigo has created a full day lecture around photovoltaic, or PV, systems to enlighten the students more about how the technology in the TBI campus and community centers work. During the lecture, the key components of the solar panel systems were explained: the solar panels themselves, the charger/controller or regulator, the inverter, and the battery. Because the team has interacted with malfunctioning solar systems over the past weeks, the lecture provided a great amount of new understanding around the energy problems in the community. Further, to make sure the students felt confident in their newfound knowledge, Rodrigo presented a group competition. The students would create calculative designs around the optimal PV layout of the TBI facilities and the winning team would win sodas for dinner that night. The innovators jumped right in! When they came back, they were evaluated. Giancarlos, Joe and Jake had the closest calculations to the expected outcome and won the game! 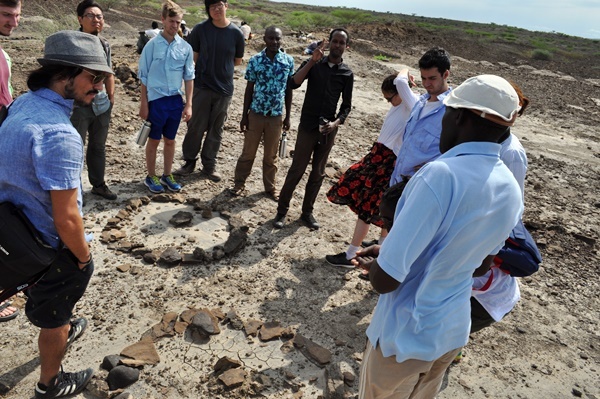 The Turkana Basin Institute is world-renowned for the forward progress it has had in the anthropological and paleontological worlds. The historical context which the students were in had to be highlighted in the summer program. 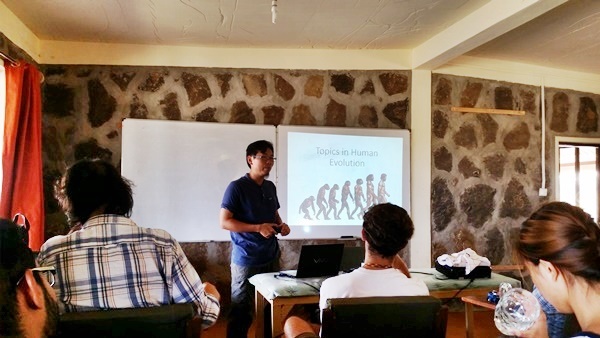 Deming Yang, the resident director for the Global Innovation program, has generously offered his help in providing context around human origins and the history of our species. 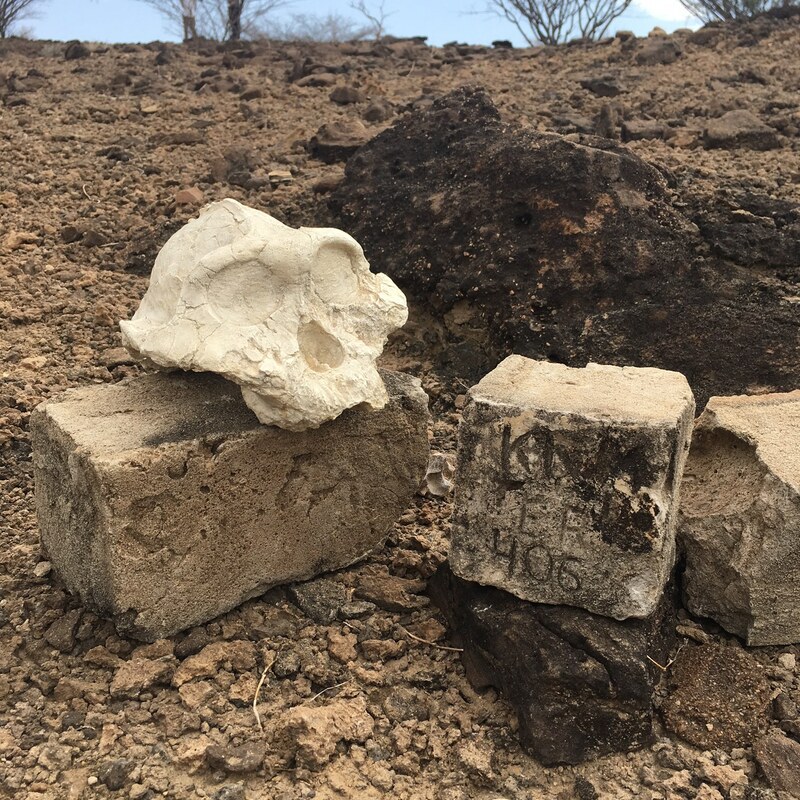 Deming provided two lectures which covered some of the many discoveries made in the Turkana Basin as well as the dawn of mankind and its progress to what we are today. Incredible perspective shifts were made in the topic of evolution, why people have different skin color, and the missing gaps of our evolutionary history. Students found amazing revelations with the scientific information. 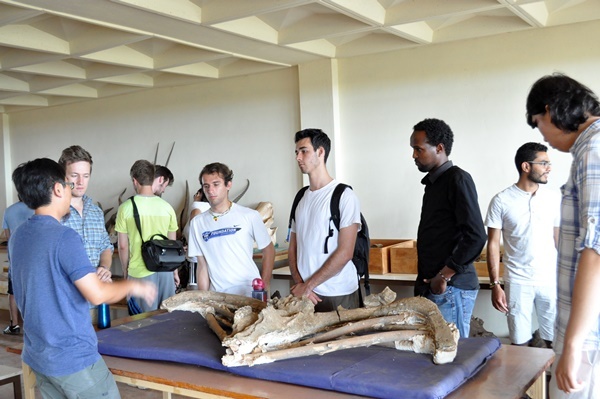 Next, the students took a tour of the research facility at TBI Ileret that serves to preserve the fossil record of the Turkana Basin. Most of human evolution is understood based on the study of fossils. However, there are large gaps in what we know about our evolutionary history, which leave many questions for the scientists to answer. 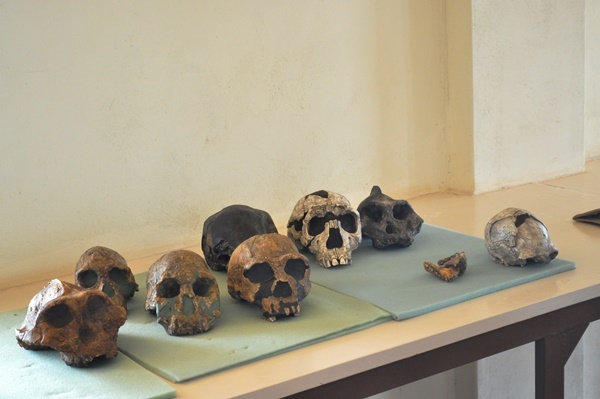 The researchers at TBI and the origins program work diligently to trying to find the “missing links” in human evolution. 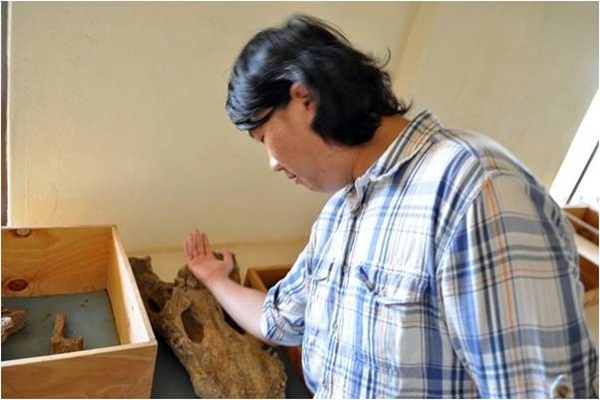 The fossil record is not just fossils of human ancestors, but also animals that lived in the Turkana Basin at the same time. 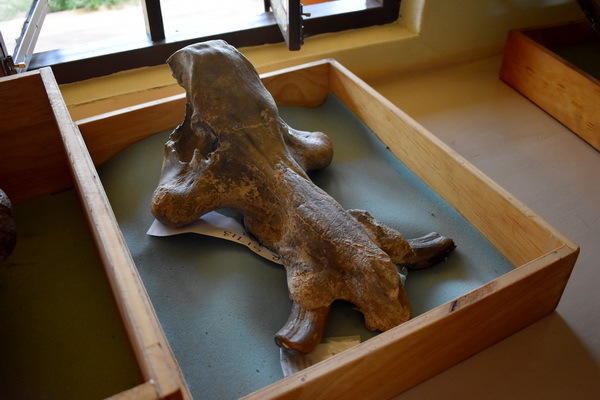 At the research facility, students were very excited to see fossils of elephants, hippos, antelopes and crocodiles. Some of them were much larger than the species we see today! 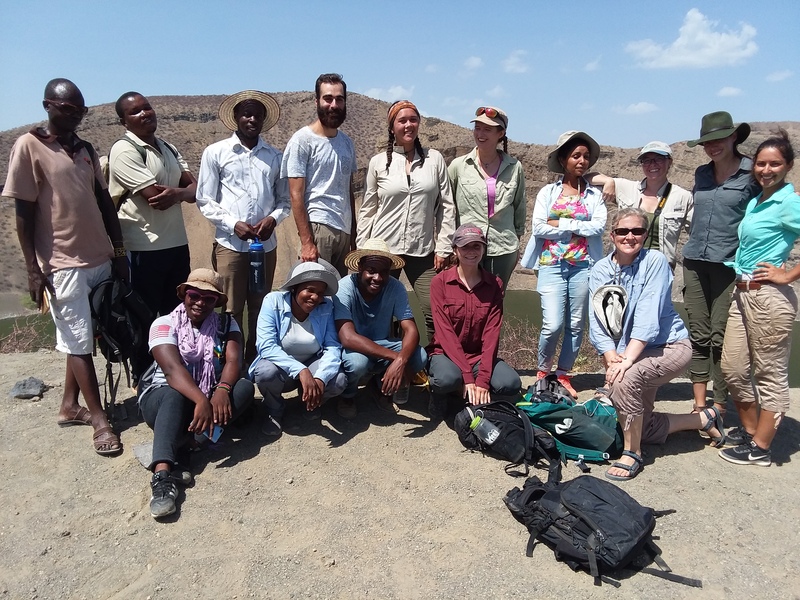 The students take a step further into the anthro-paleontological world and travel to an excavation site nearby with Cyprian Nyete, a project manager at TBI. 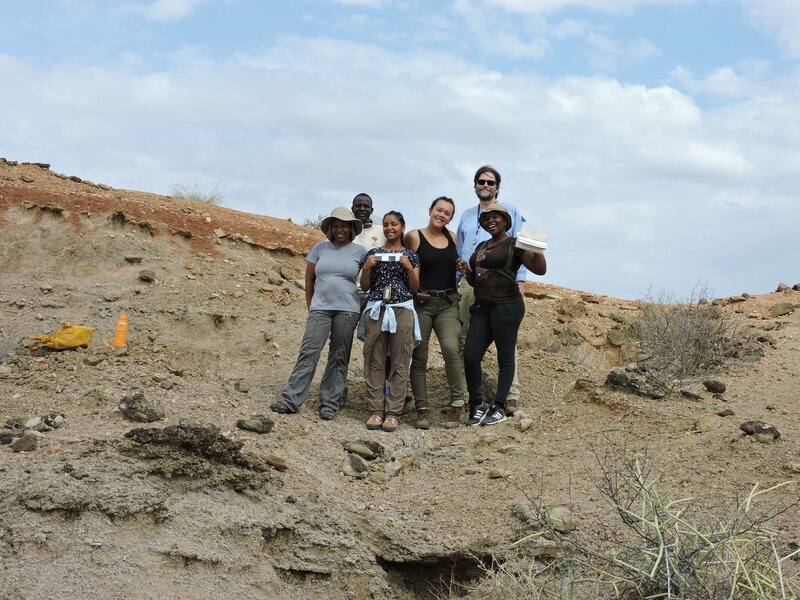 When the team arrives at the camp, they see some of the challenges that paleontologists face in their field. 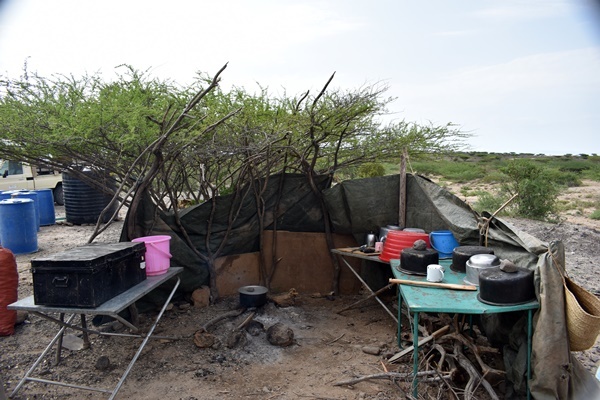 The workers live in tents around the campsite that are often at the mercy of the wind and other natural forces. 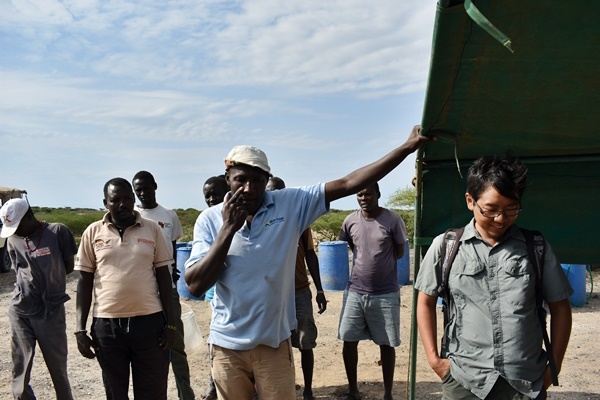 Food has to be maintained in an improvised kitchen made onsite to make sure workers have the sustenance to work over the course of the project. 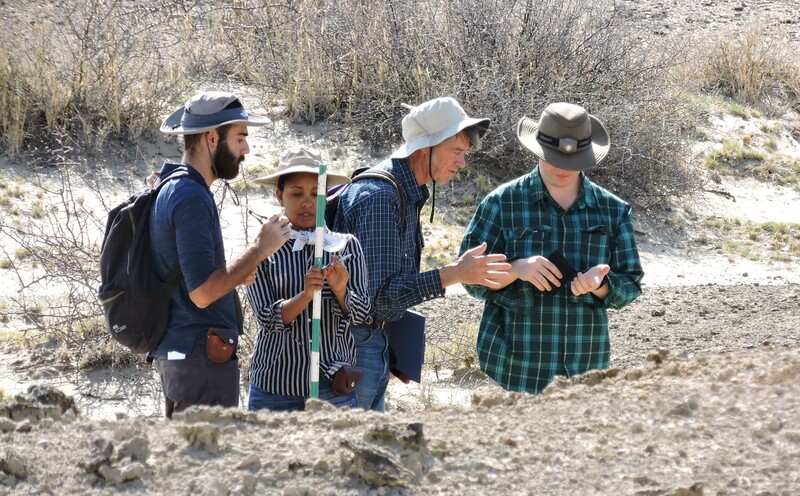 Even with the challenges of the lifestyle, the paleontologists expressed their love for the experience of being on the campsite and working to discover our ancestry. 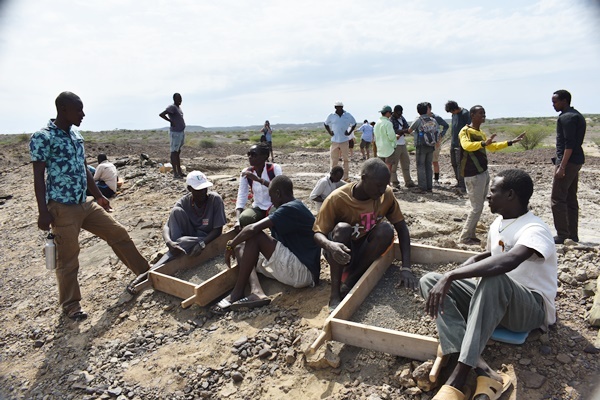 At this excavation site, a partial hominin skeleton was found several years ago. 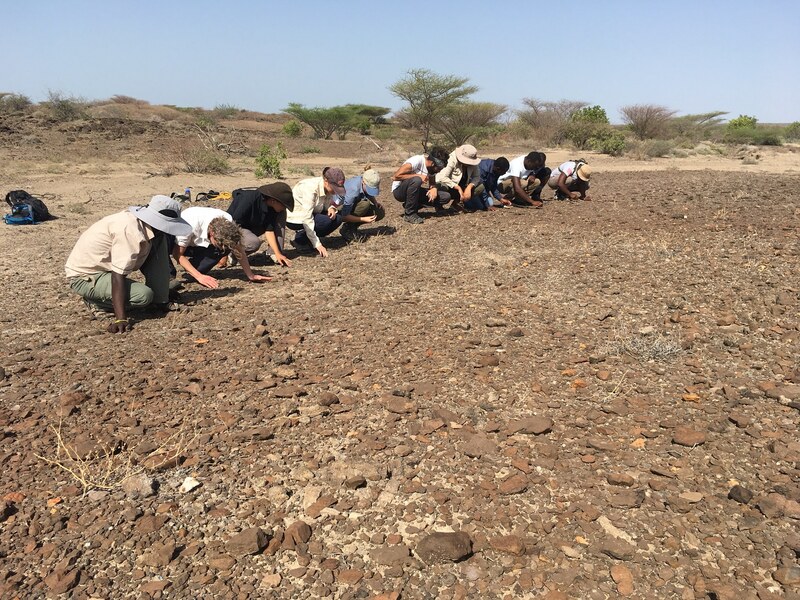 Researchers are still working at the site to better understand the context of this discovery: what did the early humans eat, how did they walk, did they use tools, and much more. Another challenge of a paleontological/archaeological excavation is that scientists never know what they will find. Fossils can be buried as close as 5 cm from the surface and at times meters underground which is why they have to use small digging tools. 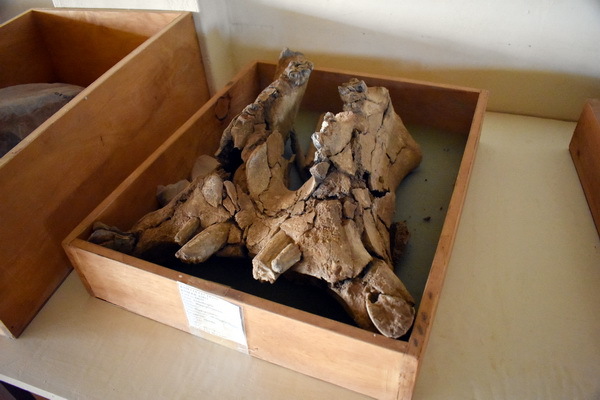 If digging is done carelessly, the fossils can be harmed and undermine their ability to tell us their history. 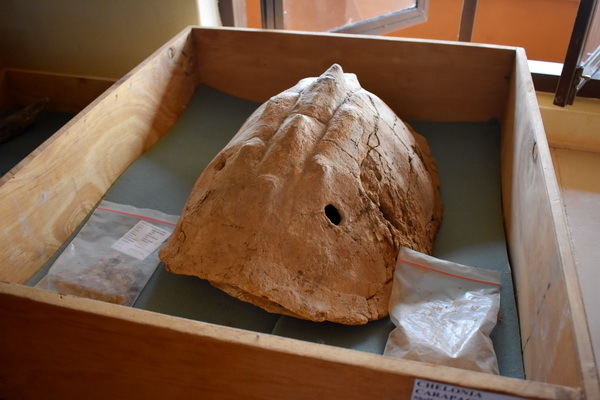 The workers must be extremely diligent in their process, digging centimeter by centimeter in the ground over weeks with the hope of hitting the jackpot of paleontology- a well preserved fossil. The end of the week marks the midpoint of the summer program and the end of the first study abroad class. The second part of the summer acts as a complement to the first in that it focuses purely on long-term projects. In this section, students are responsible for identifying the different problems that require a long-term effort to solve. They have the option of expanding their original short-term projects into a larger scale- (i.e. 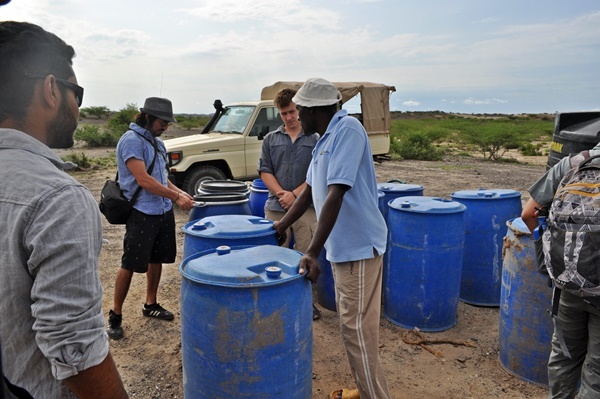 using knowledge in waste management to propose ways to provide consistent waste treatment for the entire community). Students have ruminated over different possibilities and a discussion will be held later in the week to decide final projects and next steps. The purpose of this section of the class is to provide a setup for present and future field schools to have a platform in which they can give continuous effort to developing nations. From documenting their solutions and identification of problems, precious data, innovation, and solutions haven prospect of being used in senior design projects or future initiatives. 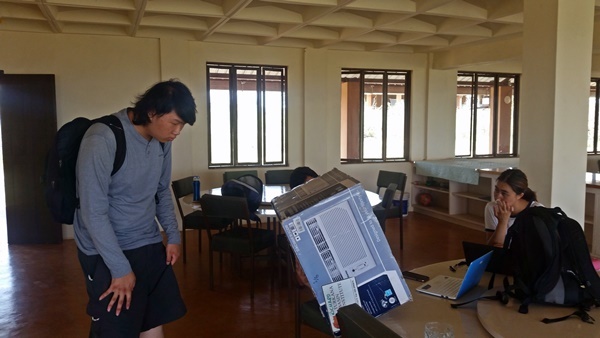 The group was excited to have all their projects reach completion but did not feel fulfilled without following up with the community to check if everything is actually working. The entire group went to revisit each project at the clinic and the primary school and spoke to representatives from the facilities to get feedback. One of the nurses at the clinic confirmed that the waste water distribution system was fully functional and thanked the students for their contribution to the clinic. 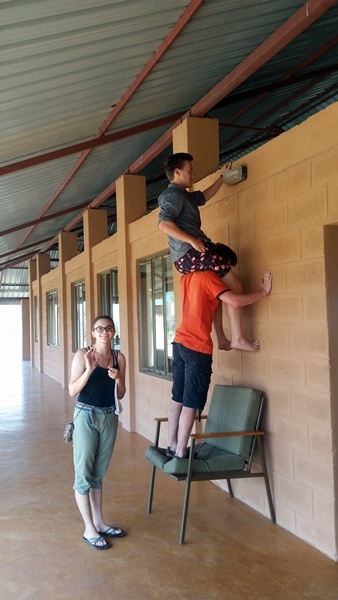 Upon follow up, Joe and Addison have come up with the idea of adding a curtain for the shower in the maternity clinic. The shower is open and water freely saturates parts of the wall, causing erosion. Currently it is not a great threat but, over time, the building’s erosion can cause the walls to become weak and collapse. The team doesn’t have any plastic material to create a shower curtain and has considered using a metal sheet to contain the water. They acknowledge that this can create a cramped environment and aim to make the most comfortable and functional space for patients who have just given birth. They will consult with TBI staff to discover what other options they have or can create. When the team visited the school, they were excited to see that one of the classrooms they implemented was already in use. 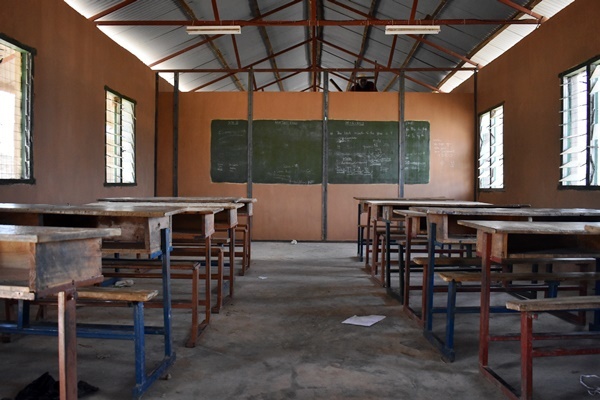 The global innovators painted the walls brown to bring more life to the classroom. Chalkboards were originally a big issue for the design being that the school didn’t have enough flip charts available for use. Saffron and Alan decided to paint sections of the outer wall of each classroom green to designate a pseudo-chalkboard. Surprisingly, the white chalk showed clearly through and seemed to work well for the classroom. Chalk lined the green section showing off students learning the different months of the year in English, “Desember,” written cleanly on the board. Shem, the Head Deputy Officer of the school, was pleased with the work and happy to have a safe and comfortable environment for the students to work in. He also requested for the “chalkboards” to be bigger to provide a more space for the teachers to use. 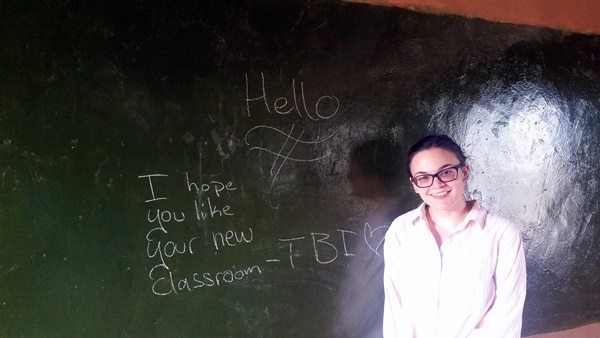 The team will return next week to play music with the students and to add more paint to the chalkboard. Wen and Jake had a successful first trash collection initiative and want to hold one more before the team’s time is up in Ileret. They are setting up an event with the primary school for the end of the week. Lastly, Keena and Giancarlos are still working to reach Madame Hilda and Beatrice as they have both been away from their facilities for the past few days. They’ve received Beatrice’s number and plan to get confirmation from her around taking the regulator from the school and installing it at the clinic.